One of the best things about writing is the sense of community amongst authors, and the friends I have made. I first met B.A Paris while her phenomenal debut, Behind Closed Doors, was storming the charts, and I had newly published The Sister. It’s been lovely to share our experiences as new writers, and cheer each other on over the past couple of years. 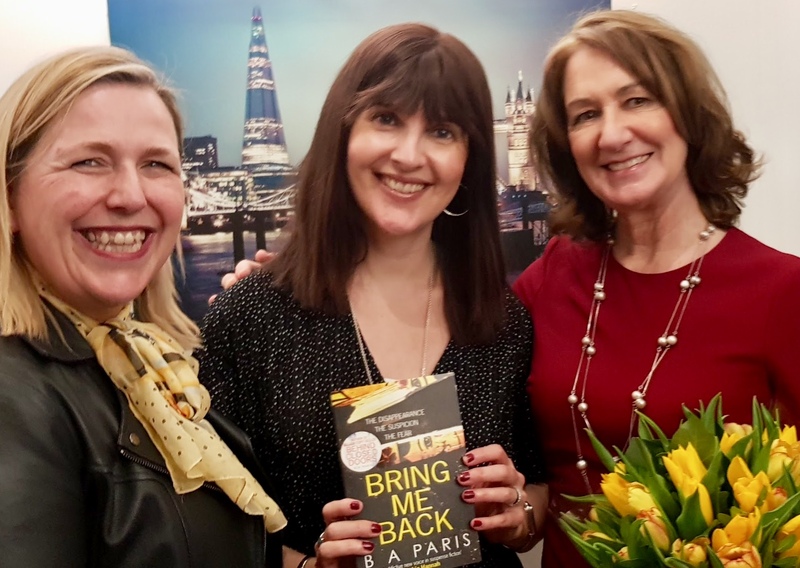 It was a privilege to attend the launch of her third offering, Bring Me Back last Thursday. If you haven’t read it yet, you really should! This is a dual narrative story, and B has written from both a male and female perspective. The male voice, Finn, is excellently executed and the story of Finn’s girlfriend’s disappearance, 12 years previously, had me hooked. Had she run away? Had he killed her? You’ll have to read it, to find out. The launch party took place in a private area of the bar in Waterstones, Piccadilly and the 5th floor location gave us a stunning view across London, by night. We drank wine and ate canapés including salted chicken and mini burgers. Russian Dolls feature as part of Bring Me Back’s plot and although I’m a chocoholic I couldn’t bring myself to unwrap one of these chocolates as they looked so pretty. B gave a heartfelt speech, there are always so many people to thank. Writing a book can be quite solitary but publishing one takes a village. 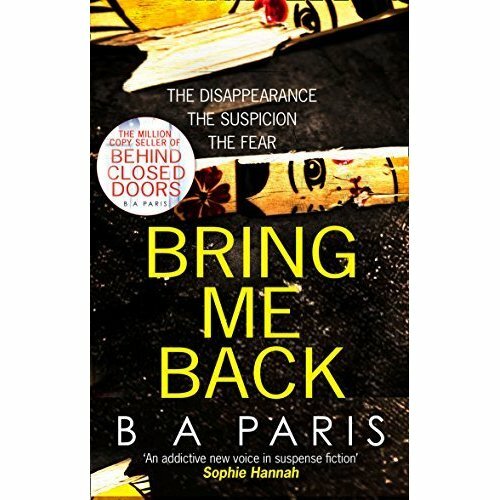 You can find Bring Me Back on Amazon here. Posted on March 10, 2018 by Fabricating Fiction/Louise Jensen	• This entry was posted in Uncategorized and tagged B A Paris, book launch, books, harper collins, HQ, louise jensen, novel writing, reading, writing. Bookmark the permalink.